During the Summer of 2015, The Ayrshire Community Trust hosted a creative intern who worked on a 14 week photography and heritage project. 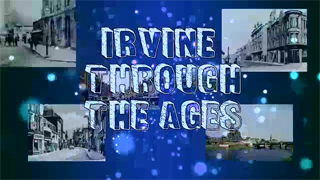 Laura Pittaro, who is a talented photographer, created a short film entitled Irvine Through The Ages that looks at Irvine’s past, present and future. The finished film has been shown regularly on the ‘Big Screen‘ at Irvine Bridgegate and has received positive feedback from the community. This project/work has been undertaken with the support of SCVO’s Business Growth Graduate Internship Programme funded through the European Regional Development Fund (ERDF), Scottish Government and Creative Scotland.